On Tuesday, August 24, my first ebook since May 2009 will be published by Wild Child Publishing. 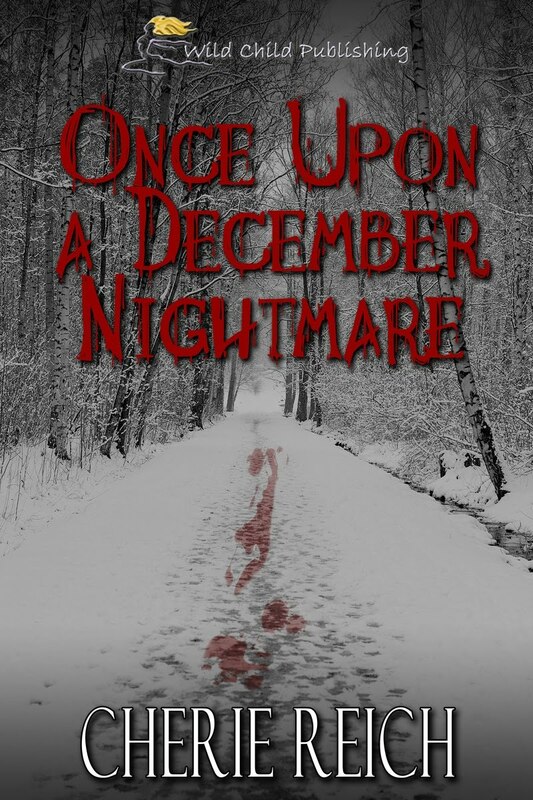 Once Upon a December Nightmare had a difficult start as a short story, but all that hard work is about to come to fruition. In May 2009, I decided to write a horror story loosely based upon an event that happened in my life. Of course, the real story was much different and less scary. What's the fun in that? *laughs* So, I changed many things, including the real people's names and went with it. I finished that story in the same month and submitted to an e-publisher. Three weeks after submitting the story, it was accepted. I signed the contract, and it was supposed to be published in July 2009. Then, a true nightmare began. The publisher fell apart a week before the release of my story. It was devastating and embarrassing to have it happen. I had another e-book with them, as well, so it was left homeless. After a few weeks, I decided to give Once Upon a December Nightmare another go. I sent it to Christine and Aubrie, my critique buddies. I took their opinions and suggestions and went back through and edited the story some more. Then, I submitted it to Wild Child Publishing in August 2009. The process crawled at a snail's pace. In October 2009, the story was accepted once again. I signed and sent my contract back to them and received my wonderful cover art by Valerie Tibbs. In April 2010, I was contacted by my editor, Zetta Brown, and received my first edits. It was in these four edits on Once Upon a December Nightmare that I realized how difficult it is to be a writer. Oh, it's not easy, but it just brought it all home. I agonized of changing things, and at times, I wanted to rewrite the entire thing instead of just edit. Zetta pushed me more than I thought possible, and the story grew better, stronger. This month, I received my final proof and now my ARC (advanced reader copy). As I mentioned before, on Tuesday, the story will be published. There might be a word here or there I would change or rewrite, but in the end, the story is the best I can write it at this time, and I'm happy with it. 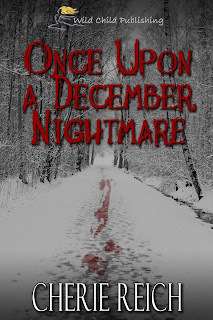 Now that I talked about the process of publishing this short story, here is what Once Upon a December Nightmare is the blurb: They were only going out to dinner and a movie. But when their plans go astray, friends Cassie, Mary, Denise, and James decide to take a detour down a lonely mountain road. A felled tree blocks their passage and forces them to turn around in a clearing containing a disturbing arrangement of four deer carcasses. When their truck breaks down, and their cell phones don't work, they must brave the cold December air, nightfall, and a long hike. Yet this is the least of their troubles. Tension runs high between the four young friends...and they are not alone. Each step brings them closer to safety, but will they make it to the main road alive? "I think we should stay together," Cassie spoke up. "The lights went out. The cell phones don't work. We're stuck in the middle of freaking nowhere. This has all the makings of a horror movie, and I know something about horror movies. You never split up." "I don't want to stay here," Mary squeaked. She trembled, looking cold and scared. "What if someone comes up here after we leave? Then we'll miss out on a ride back," Denise said and wrapped an arm around her sister. "Mary, we'll be fine if we stay here. It's safe in the truck." She didn't think she could walk three or four miles to the main road. Despite being twenty-years-old, she was more than forty pounds overweight and always a little out of breath from smoking. "Cassie has a point," James admitted. "We don't know when they'll check the road, but we all don't have to go." "Well, I'm staying here," Denise said, crossing her arms. Cassie may be a few months older than she was, but it didn't mean she had to listen to her, and there was no way she was going to walk out there in the dark. You can pre-order Once Upon a December Nightmare here. It sounds awesome, Cherie. I'll be looking for it on Kindle. Can't wait to read it. Thanks, Lisa! I'll let you know when it shows up on Kindle. It should only be a day or two after the release date on Wild Child's website.